CABE has sold more than 60% of Stage One of its $500m East Side Quarter development in Penrith before the official launch. 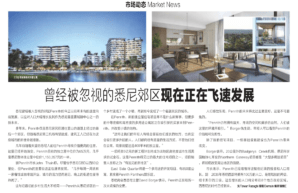 The 6.5ha urban village is adjacent to Penrith Leagues Club and the sales included a record for Penrith when a $950,000 three-bedroom penthouse was bought off the plan. This state has some of the most beautiful waterways in the world so it’s no wonder developers are seeing their potential. 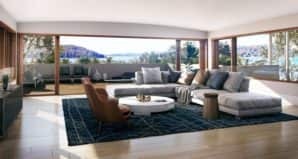 Up on the northern beaches, developer CABE is tapping into the over-55s luxury housing market with a swish offering at Bayview, on the doorstep of Pittwater’s yachting and boating playground. The boutique project of five residences is also close to Mona Vale and Newport beaches and has walking tracks nearby, including to Church Point. Prices in the eco-friendly building, designed by Lesiuk Architects, start from a cool $2.5 million. Meanwhile in the southwest of the city, construction has begun on The Paper Mill in Liverpool, whose developers are promising to spark a new era of waterfront living for the area. Coronation Property has a vision of residents strolling and cycling along the Georges River boardwalk in what it says will become a “food, local produce and beverage” hub with community facilities and cultural pursuits. The first sod at the former industrial site was turned this month after a second wave of apartments was released for sale. Another centre undergoing gentrification is the city of Newcastle, which has had an overhaul of its waterfront areas in the last decade. 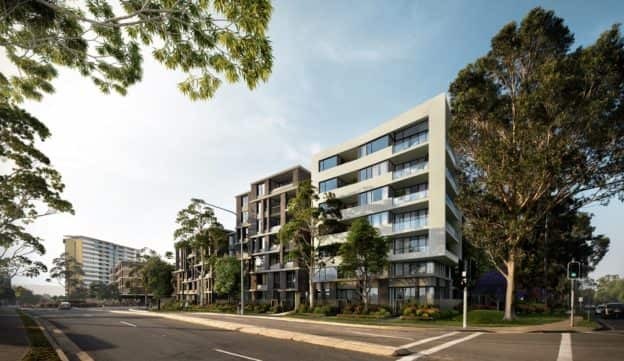 Sydney developer Thirdi has launched its third development in the city, a two-tower apartment block just to the west of the CBD known as WestEnd. 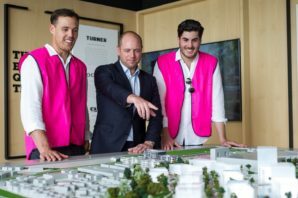 Future residents might spot former Australian cricket captain popping in the Newcastle CBD for holiday supplies – Clarke has recently snapped up a weekender in the Johnson Property Group’s Trinity Point development at Lake Macquarie, about 50 kilometres south of the former steel city. Watersedge, 2079 Pittwater Rd, Bayview Three-beds 279-313 square metres $2.5 million+ Penthouse 457 square metres $3.5 million Strata levies From $2204.33 a quarter Due for completion December 2016 Agent CABE, (02) 8818 3600; cabe.com.au Three of the five exclusive over-55s apartments at Watersedge have already sold – including the 260 square metre penthouse, which traded for $3.5 million after initial expectations of about $3.7 million. Watersedge has been designed by Lesiuk Architects, a firm known for its Balinese design bent and eco-friendly approach. The internal look and feel was crafted by SJB Interiors. The building will employ the power of nature, with plants cascading over the exterior to give residents greater privacy and help cool the interiors in summer. CABE development manager Joe Bevacqua expects the two remaining apartments to sell before Christmas. He says the business is interested in developing more small, premium projects “should the opportunities and zonings present themselves”. WestEnd, 3-13 Charles Street, Wickham One-beds 51-60 square metres $327,500+ Two-beds 68-75 square metres $481,500+ Three-beds 92 square metres $757,500+ Strata levies From $715 a quarter Due for completion 2017 Agent 02 9409 7200; westendnewcastle.com.au The gentrification of Newcastle’s former industrial areas is stepping up with several new apartments on the drawing board at Wickham, to the west of the CBD. One of those is WestEnd, a 126-apartment offering that will be housed in two buildings ranging from nine to 10 storeys high. Wickham will be given a boost by a proposed $75 million state-government transport interchange to be built in the suburb. It will allow commuters to switch between trains, light rail, buses, taxis and private cars. WestEnd will have the Newcastle CBD on one side and the harbour foreshore and the Hunter River mouth on the other. 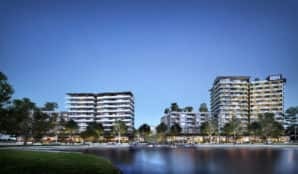 The apartments will be close to a walking trail that stretches along the foreshore to Nobbys Beach and lighthouse past a series of restaurants and cafes. The Paper Mill, 20 Shepherd Street, Liverpool One-beds 57-59 square metres $420,000+ Two-beds 77-96 square metres $542,500+ Three-beds 95-130 square metres $700,000+ Strata levies From $600 a quarter Due for completion 2017 Agent CPC Sales, 1800 78 33 22; www.liveatthepapermill.com.au AFTER selling out of apartments on the lower floors of The Paper Mill earlier this year, developer Coronation Property has recently released 88 apartments in its river-front Liverpool offering. The Woods Bagot-designed apartments are being built where one of Australia’s oldest and largest paper mills once operated. The design will blend re-purposed 19th-century heritage-protected industrial buildings with modern apartment towers. The Paper Mill is 650 metres from Liverpool station and has buses nearby. Construction of the 29-storey development began this month. The project has proved popular with buyers. More than 500 apartments and two-level town homes have already been sold at the site, which incorporates The Paper Mill and The Bindery. View the full article here. ESQ1818 Submits Development Application for Stages 2 and 3 A development application for stage two and three of ESQ 1818 has been lodged to Penrith Council for approval. A total of four residential buildings ranging from four to five storeys as well as one mixed use residential building with about 1225 sqm of retail space are the second and third stage of the development. The entire project, which includes fives stages of construction, will cover a 6.5 hectare footprint on the Panthers precinct and feature a lakeside promenade as well as landscaped space, shopping and restaurants a stone’s throw from the Nepean River. Penrith based property developer Astina Group has been awarded the mammoth task of building ESQ. “We have been impressed with what we have seen with Astina and the fact that they are local was icing on the cake,” CABE chief executive Andrew James said. Astina has recently built projects such as Home on High and East Bank and builder William Schrumpf welcomed the new project. “We are extremely excited to be teaming up with CABE to deliver ESQ,” Mr Schrumpf said.